Tragedy never announces itself before striking, so it’s up to us to prepare accordingly and that holds true for home safety as well. Whether you live in a somewhat secluded area or in a neighborhood that’s not exactly known for its safety, here are five ways to make sure that your property remains as protected as possible, without having to spend a fortune on security. 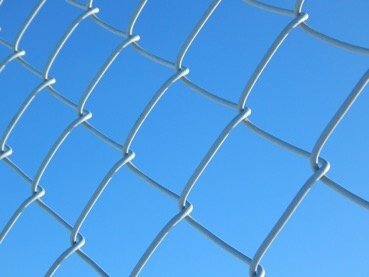 Security is just one of the many benefits of chain link fencing, but it’s most certainly one of the major pros. Do make sure that the fencing is at least 6 feet high and the wire used is 9-gauge thick to ensure that it can truly hold up, if the need arises. It won’t give you a lot of privacy of course, but in an isolated region, the see-through nature of the chain link fence will enable you to keep an eye on things outside. All entry points to the property need to be properly secured and that includes windows too. Skip the beautiful but fragile glass-and-wood design in favor of stronger stuff like seasoned mahogany or even steel for not just the front door, but all doors that allow entry from the outside. The same advice goes for windows too, so if you don’t mind bars, they are probably your safest option. A modern home without a security system just doesn’t make any sense at all because even if there are no burglars in your home, the smoke and CO detectors could potentially save your life. There is no shortage of advanced smart home security systems these days, so do invest in one to protect your family from almost all external threats. When you are not home, burglars will have ample time to get through all your defenses, so your best bet at keeping your home secure while you are not there is to have a few trusted neighbors keep an eye on your property. In case you have just moved in, make the effort to be acquainted with a few of your neighbors because if something does go wrong while you are not there, they will be able to call the police for you. The last thing a burglar wants is to get caught in the act, so just by putting up signs that declare the fact that you have security cameras and alarms installed, is by itself a great way to deter lawbreakers. Sometimes, it is a good idea to put up signs even if you don’t have everything that the sign warns people of, because very few criminals are willing to call the bluff and try out their luck! These five points are generally enough to keep most properties safe, but just as a bonus tip, remember to hide your valuables from plain sight. Also, install some thick curtains, so that your internal décor remains hidden from prying eyes.